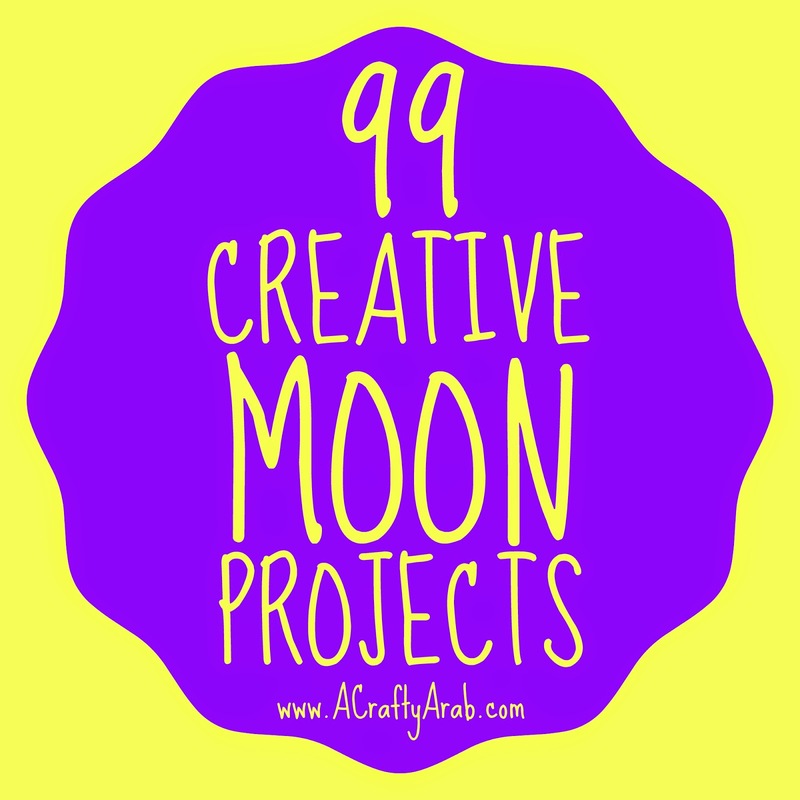 Continuing our 99 Creative Project Series, I thought I’d bring together moon Ramadan projects. The Islamic calendar is lunar based, so the moon plays a significant roll in the religion. The crescent moon and star emerged into popular use during the 19th century as a symbol for the Ottoman Empire. It is now on half a dozen country flags. Over the years, I have made several moon crafts here on the ACraftyArab blog. I have collected them below, along with a few others, so that you can enjoy making some creative moon projects to appreciate our majestic satellite. I have included images from my crafts, but do not have copyright on other images. For visuals of these tutorials, feel free to visit Crafty Arab 99 Creative Projects. Reach for the moon and stars! Simple Science Experiment for Kids: Why are there craters on the moon?